Blaser offers a large range of excellent hunting and sporting rifles. Both attractive and functional, Blaser rifles give shooters the edge they need to ensure a successful hunt every time. Created by hunters, for hunters, it is easy to see why Blaser is a favourite among aficionados. Guntrader is the number one online marketplace in the UK for all things firearms. Shop today for the biggest and best collection of new and second hand rifles. Alternatively, use our service to trade in your used rifles. Includes fitted bipod stud. Supplied with Blaser hard case. 12 months old but completely as new this rifle has fired 10 rounds and is immaculate. Factory threaded barrel 15x1 spigot at 22"
Threaded to M15 x 1 and with open sights. Blaser R93 with KKC Stock. Variety of calibres available at Allcocks Outdoor Store. Please call for availability. A new Blaser R8 Success with a .30-06 Semi weight fluted barrel. Blaser BB97 Luxus with Arebesque engraving, fitted with open sights,this rifle is in very good condition throughout having seen little use, the new price £5600 and is a bargain at the asking price. Blaser R93 in 6.5 x 55 SM complete with Walnut Lexus high grade stock with adjustable comb, Original black composite stock, Saddle back mounts to take 30 mm scope, detachable barrel - screw cut 1/2" UNF. Left hand bolt, left hand stock. New Blaser R8 Professional success with 6.5mm Creedmoor barrel. 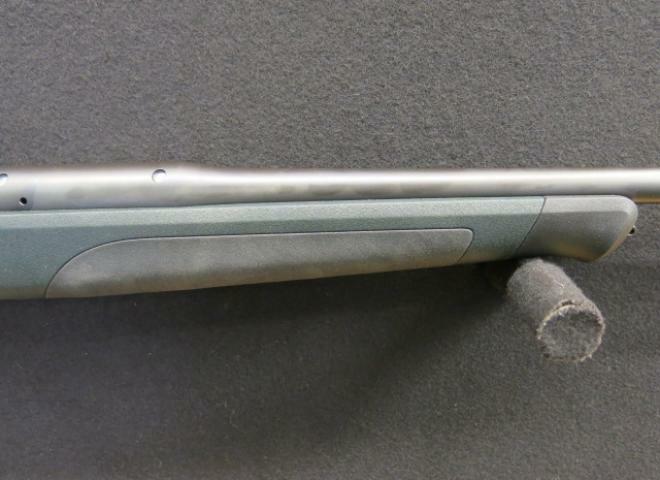 New Blaser R8 Professional Success with synthetic stock, muzzle threaded. Fantastic German engineering and build quality boasting unrivalled accuracy. 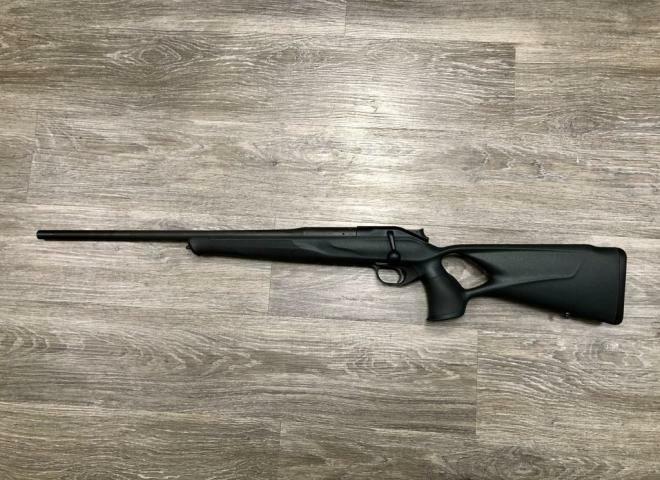 New Blaser R8 Professional Success .308 with synthetic stock. Fantastic German engineering and build quality with incredible accuracy from this world famous maker!.................Great value! This rifle comes with a Blaser take down hard case. Includes fitted bipod stud and sling swivels. Supplied with Blaser hard case. Blaser R93 with upgrade wood set in 300 Win Mag. Barrel is factory Screw cut M15x1ws and has open sights, the perfect driven Boar rifle or for those big stags!